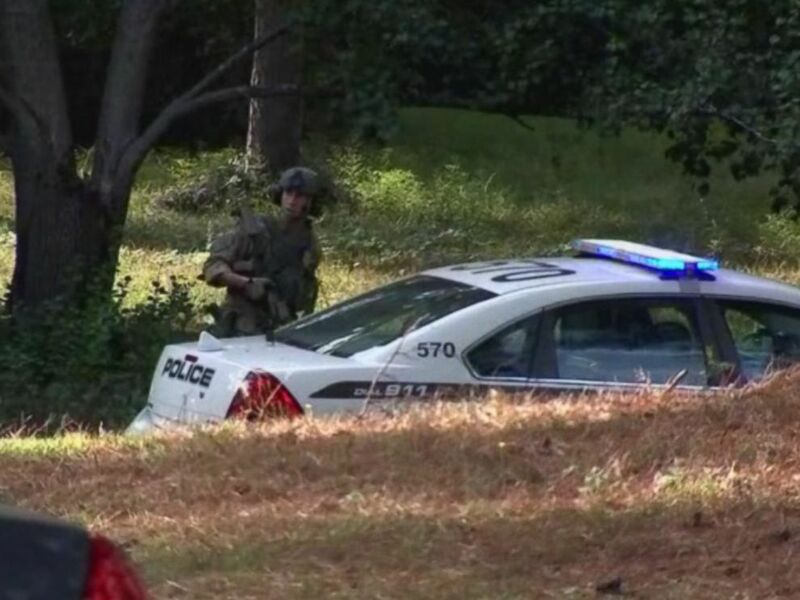 A teenager wanted in the fatal shooting of a Georgia police officer was killed by police Monday morning after they found him hiding in a shed of a home in suburban Atlanta, officials said. The suspect, Tafahree Maynard, 18, was killed after he refused to drop a lawn mower blade when police found him in an unincorporated area of Snellville, Georgia, said Chief Butch Ayers of the Gwinnett County Police Department during a news conference. Maynard's death came two days after he allegedly shot and killed Gwinnett County Police Officer Antwan Toney, prompting a manhunt involving multiple police departments, the FBI and U.S. Marshals. Ayers said police received a tip about 3 a.m. Monday that Maynard was spotted in a residential neighborhood about three miles from where Toney was shot. Antwan Toney is pictured in this undated photo released by Gwinnett County Police in Georgia. He said 75 to 90 officers responded to the neighborhood, established a perimeter and went door to door in search of the suspect. He said two officers found Maynard about 11:30 a.m. hiding in a shed behind a home and confronted him. "Mr. Maynard was issued verbal commands" to show his hands and come out of the shed, Ayers said. "He failed to comply with the verbal commands." Ayers said an officer deployed a stun gun on Maynard when he brandished the lawn mower blade he had been hiding behind his back. The chief said that despite being hit with the stun gun, Maynard refused to put down the weapon. A second officer confronting Maynard opened fire from five to six feet away, killing him, Ayers said. "I'd like to say the danger to the community is over," Ayers said. Maynard is suspected of shooting Toney as he and his partner approached a car about 2:30 p.m. on Saturday. Toney was investigating a report of people in the vehicle smoking marijuana, officials said. 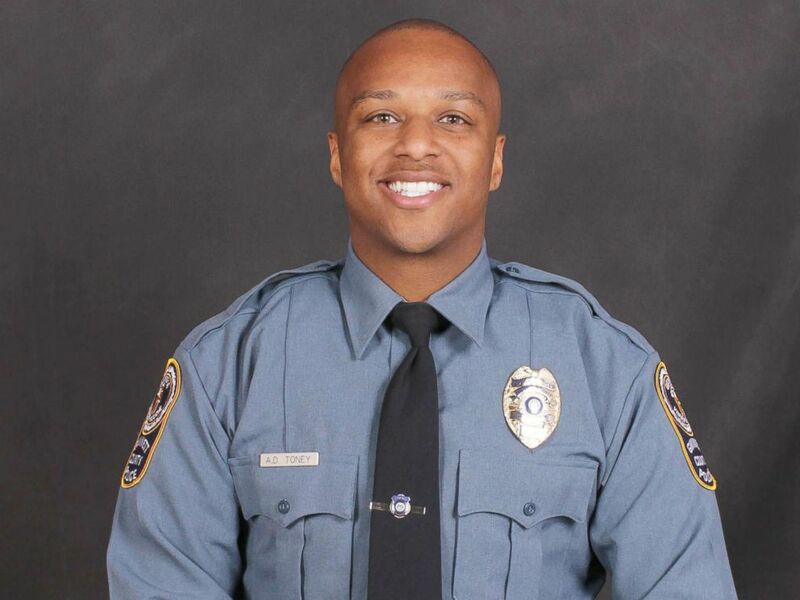 A massive manhunt is underway in Georgia, on Oct. 20, 2018, for the suspects involved with the shooting and killing of Officer Antwan Toney. Ayers said Toney, 30, whom he described as a "shining bright star" in the police department, was shot four times and later died at a hospital. 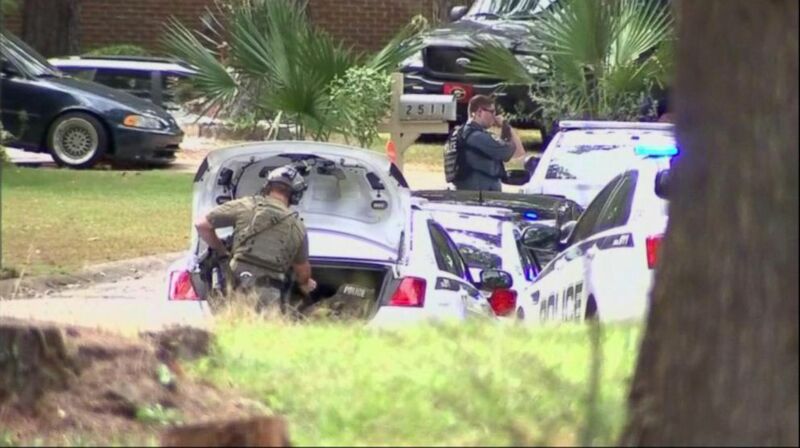 Toney is the 46th U.S. law enforcement officer shot to death this year, a 15 percent increase from 2017, according to the National Law Enforcement Officers Memorial Fund. Ayers said the deadly shots were fired from inside the car and through a closed window as Toney and his partner approached the vehicle. Police later recovered four guns in the car and marijuana, Ayers said. "What prompted Mr. Maynard to open fire ... I'm not sure we'll ever know," Ayers said. He said that following the shooting, Maynard jumped out of the car and ran. The other occupant of the vehicle, identified by police as Isaiah Pretlow, 19, allegedly got behind the wheel as responding officers fired on the car, Ayers said. After driving a short distance, the car crashed and Pretlow bailed out and ran, he said. Pretlow was arrested Saturday night and charged with aggravated assault. He is scheduled to appear in court Monday afternoon. Chief Ayers said detectives are investigating whether people provided Maynard assistance while he was being sought by police. "He didn't deserve it. He was a stand-up guy and it is heartbreaking," Toney's brother, Dartangan Johnson, told ABC station KABC-TV in Los Angeles.